Miracle is an Hand Crafted Pixel Perfect Responsive Multi-purpose & Retina Ready Premium WordPress theme which sets new standards for web design in 2015. This is suitable for every type of business, portfolio, blog and e-commerce sites. It comes with a lots of theme options so you can modify layout, styling, colors and fonts directly from within the backend. You can build your own color skin by changing colors or use one of the 10 predefined colors skins. Theme options and dynamic page builder will help you to build your website in a short time. In addition to global options you can set unique layout and styling for each pages, posts, portfolio and product single pages. 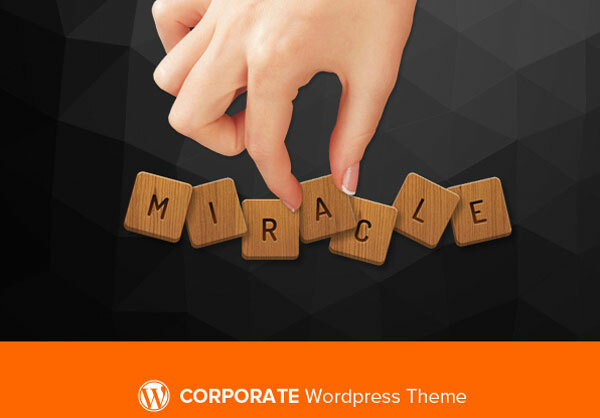 If you are developer, you can use Miracle theme as a framework to create new theme.